Vitamin C, also known as L-ascorbic acid is an essential water-soluble vitamin that not only plays a vital role in building up the body health system fighting against any pathogenic infections and other harmful substances but also helps promote collagen formation which is crucial for healthy skin. Other than its immune-boosting benefits, Vitamin C also helps maintain stronger bones and teeth and aids in the absorption of iron. Besides oranges, vitamin C is available in fresh fruits such as guava, mango, papaya, citrus fruits and tomatoes including leafy vegetables. However, due to our hectic lifestyle, it may be a challenge to keep up with the recommended five servings of fruits and vegetables daily. Since our body does not produce Vitamin C, it must be obtained from the diet. Forget the hassle of squeezing oranges to drink to ensure you get a healthy dose of Vitamin C each day. 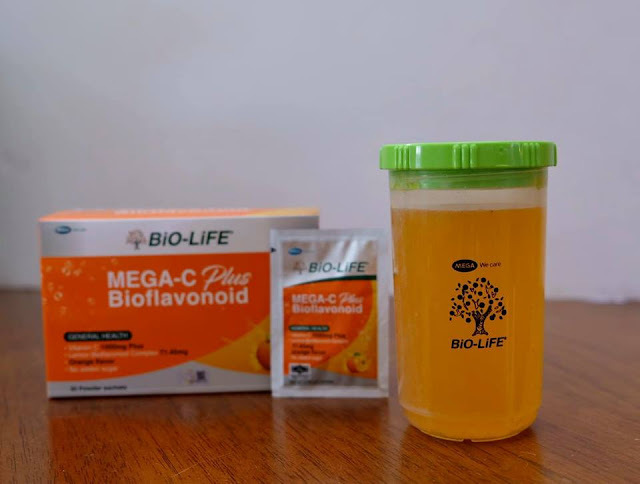 Here comes Bio-Life Mega-C Plus Bioflavonoid, your Vitamin C handy in a sachet. Whenever, wherever, just dissolve one sachet with a glass of cool water and drink once daily. Conveniently packed, every single serving of the sachet contains 1000mg Vitamin C perfect for modern lifestyle needs and people who are always on the go. The new Mega-C Plus Bioflavonoid is a high strength Vitamin C in calcium ascorbate enriched with bioflavonoids which help to increase the absorption and utilisation of Vitamin C in the body. For those with gastric issues, the buffered Mega-C Plus Bioflavonoid in ascorbate form of neutral pH won't irritate stomachs. Taste-wise, it's good, not sweet and not too acidic. 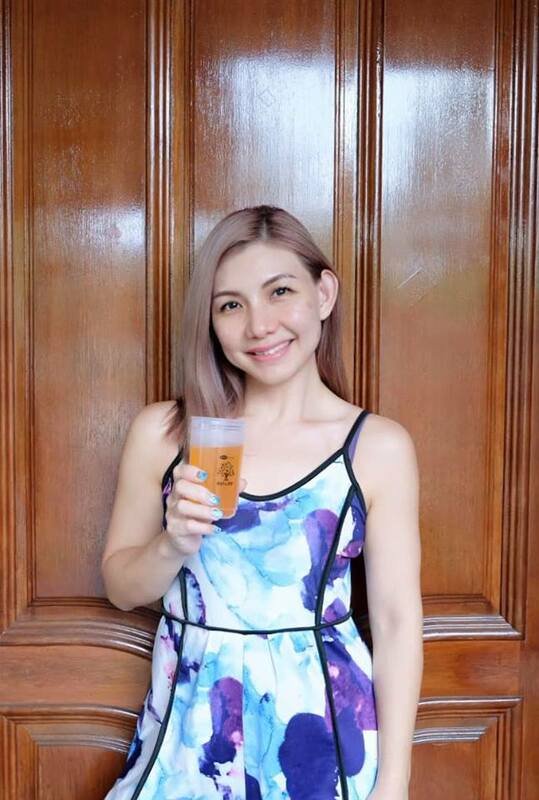 Previously, I only take Vitamin C when I feel like I'm about to fall sick due to flu but of late, I've been consuming this Mega-C Plus Bioflavonoid on a regular basis and glad to notice my complexion has improved plus I have more energy throughout the whole day. 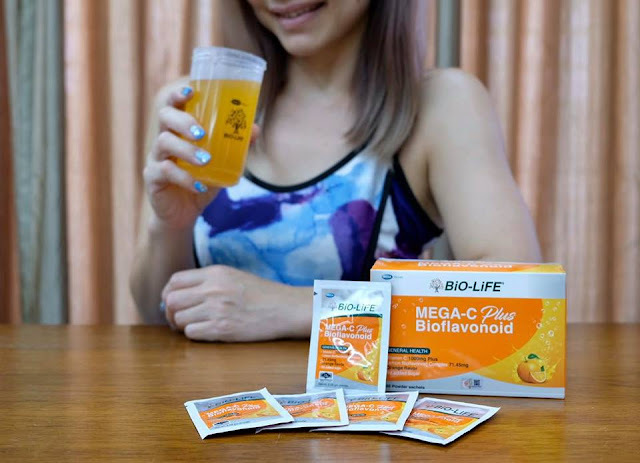 Ideal for all aged 12 years and above, the no-sugar-added Bio-Life Mega-C Plus Bioflavonoid comes in a box of 30 sachets and retails at RM55.00 per box. It's available at all leading pharmacies nationwide including Caring, Guardian, Watsons and independent pharmacies.